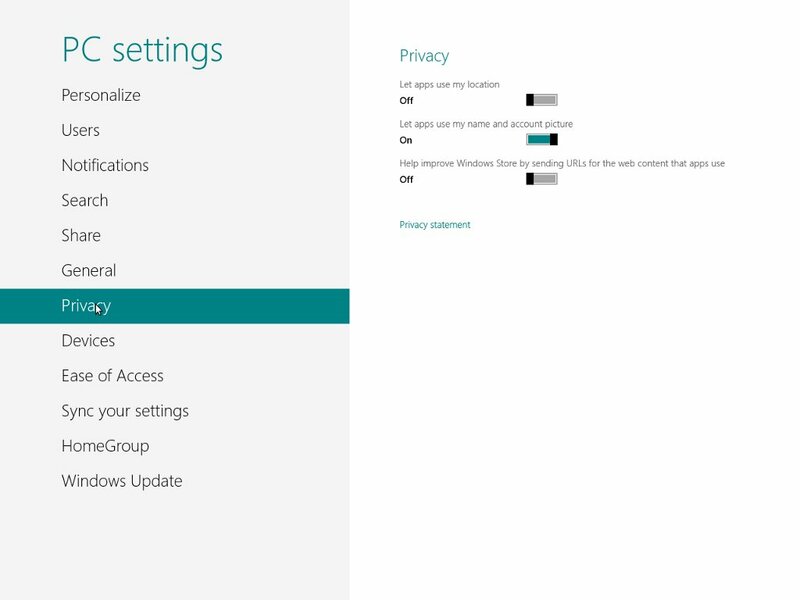 When we get the Settings menu, things get a little confusing, because there is a Settings menu right under Start, and another one right at the bottom, that says “More PC Settings”, as seen in Fig. 2, so, which is it? 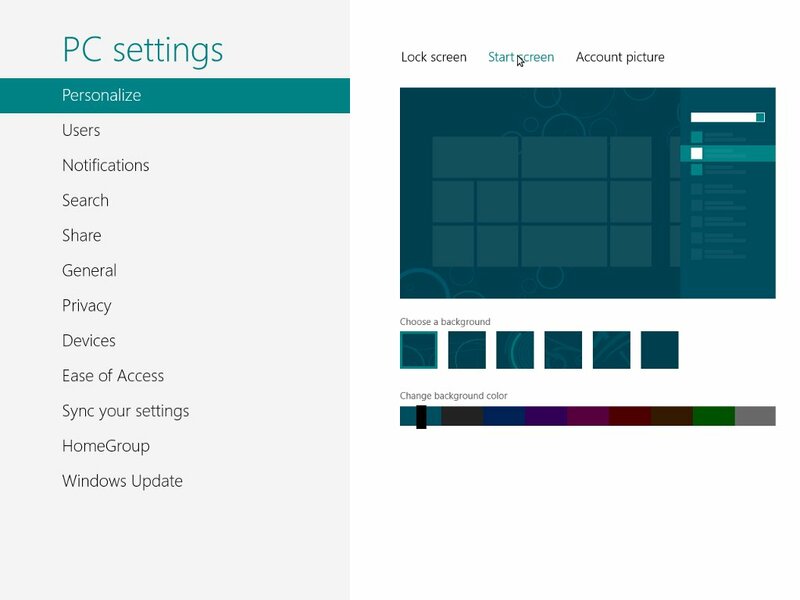 The Settings option under Start refers only to personalization to the Start screen, which as of this version, includes only two things: whether or not to show the administrative tools tiles in the Start screen, and the option to clear personal info from the tiles (Fig. 3). 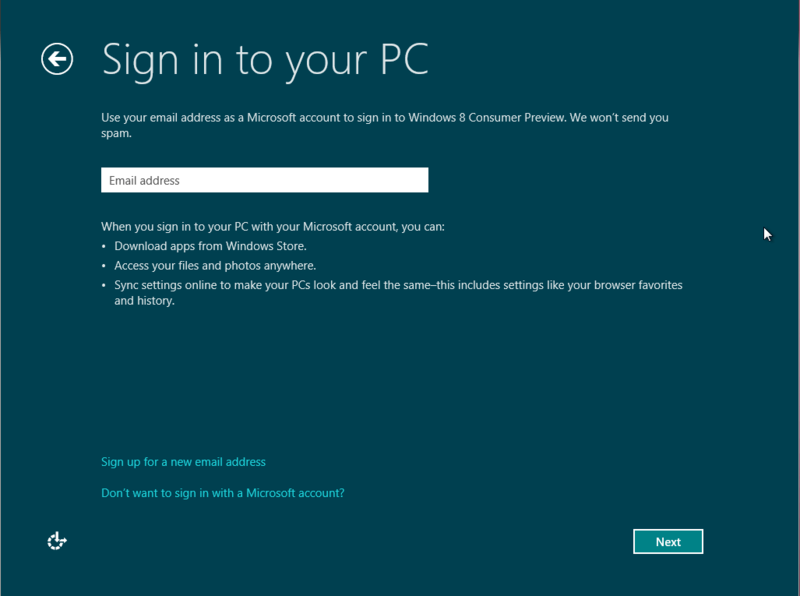 I suppose this will be vastly improved by the time Windows 8 is ready to launch, because in its current form it does not improve the experience at all. 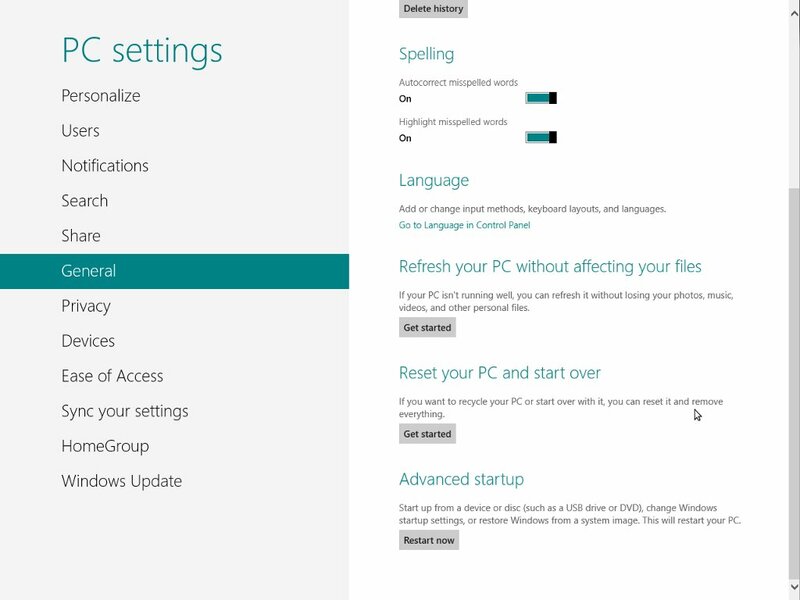 OK, then… what’s under the More PC settings option?… well, that’s exactly where all the options are! A quick look at Fig. 4 and you’ll see that pretty much everything you need is there. 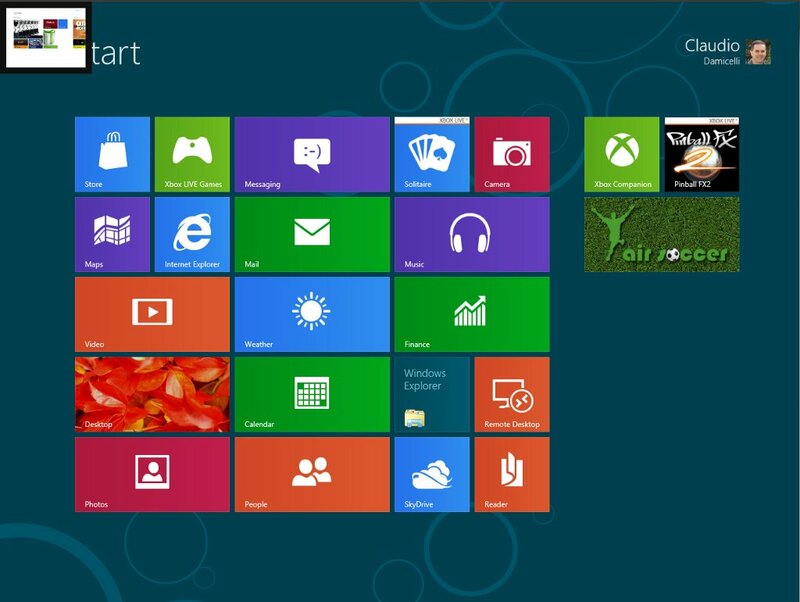 Let’s go under the hood and see what’s in each menu! 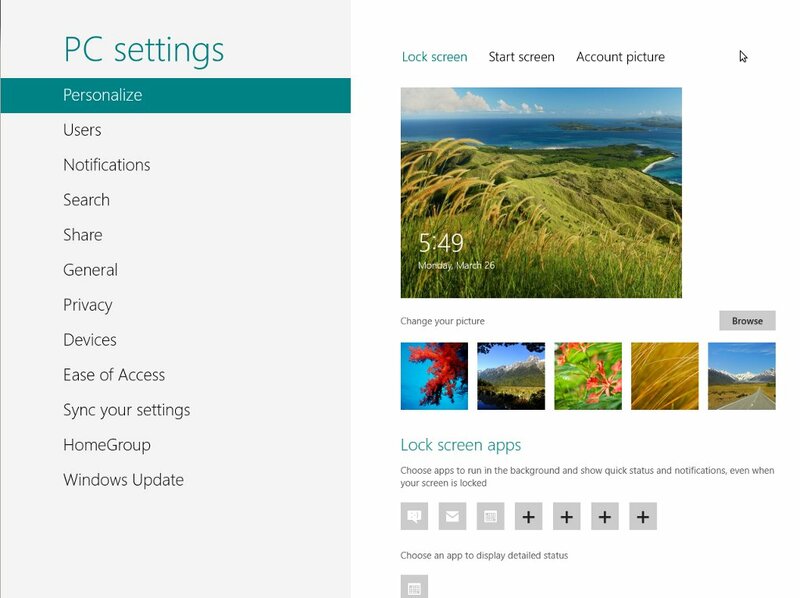 In the Personalize screen we can see three options listed at the top: Lock Screen allows us to change the image displayed when the screen is locked, and also specify which apps can run in the background and display status and notifications, even when the screen is locked. 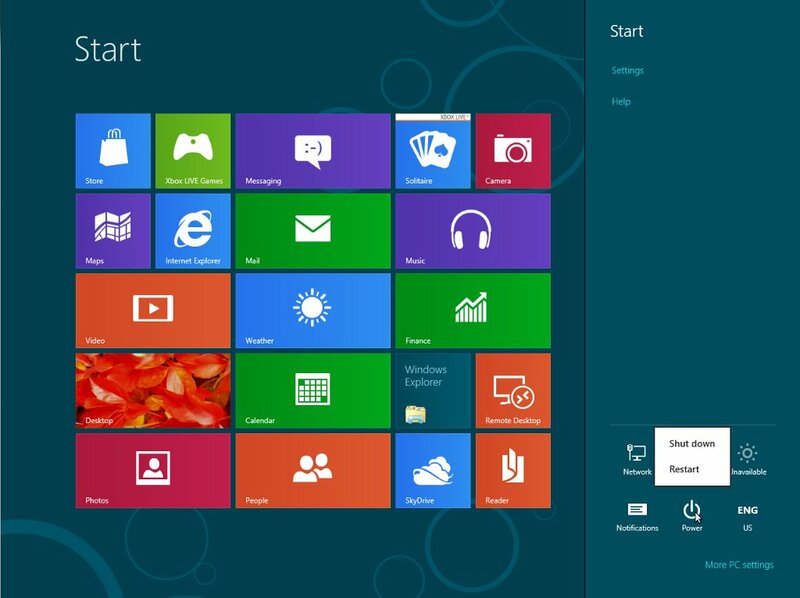 The Start Screen option is where we can change its background color and image (Fig. 5). At this time, these options are very limited to a handful of images and colors (none of which I like, to be honest), and there is no way to upload or choose different ones (minus point for Microsoft on this one!). The third option is Notifications, where we can specify whether or not installed apps can show notifications, if they can show them when the screen is locked, and if they should play a sound when there is a notification. 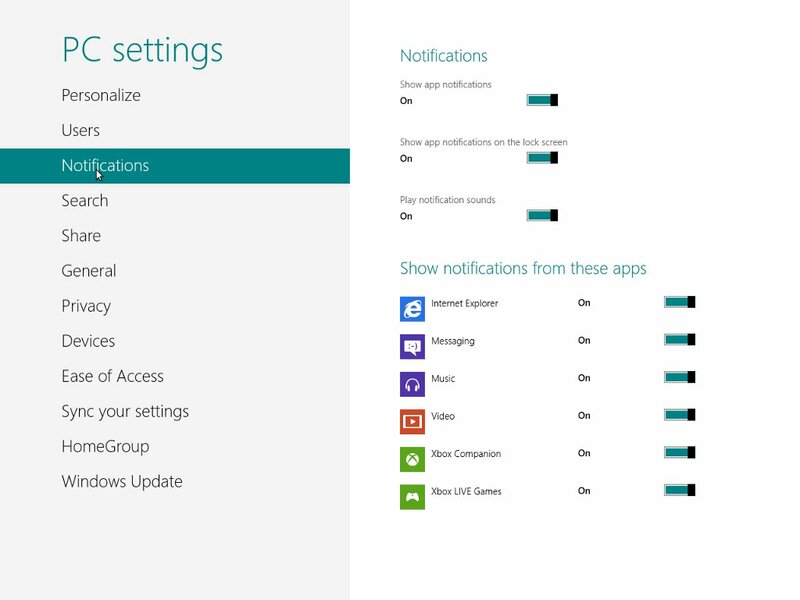 If notifications are on, we can pick which individual apps notifications will be shown for (Fig. 8). 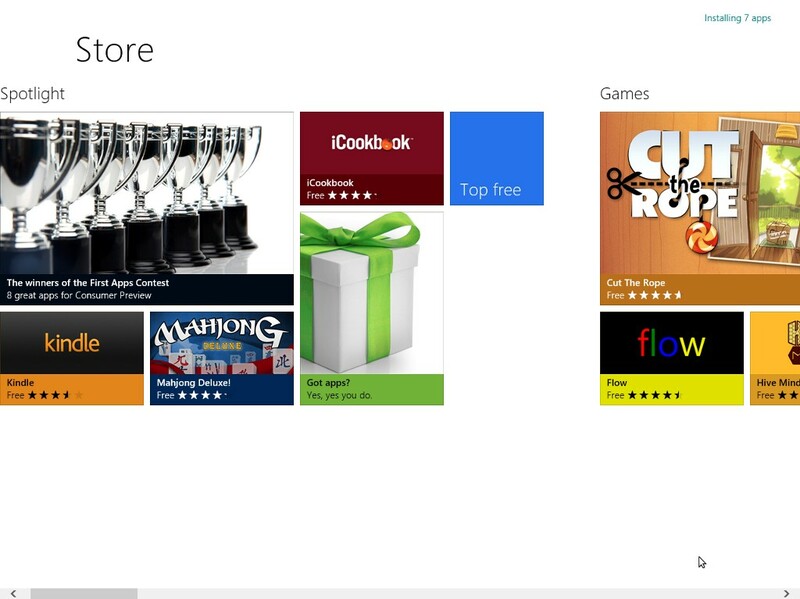 The next screen is Search (Fig. 9). 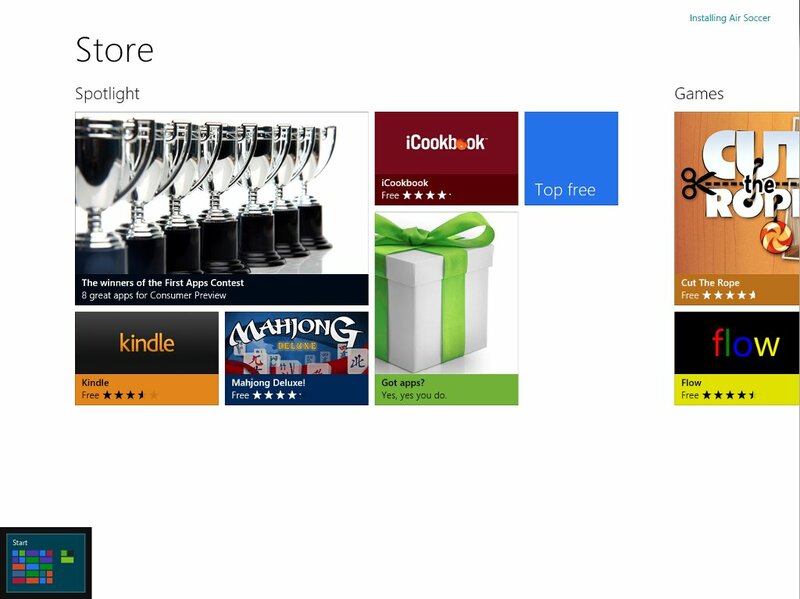 Here we can clear the search history, specify whether or not we want Windows to save searches for future search suggestions, and whether the apps you search most are shown at the top or not. We can also specify individual apps we want included in searches. 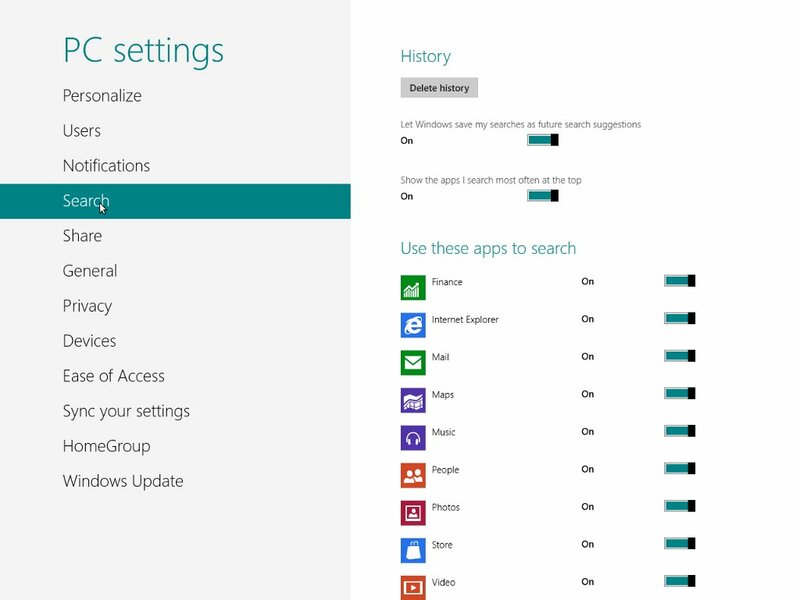 The General settings window (Fig. 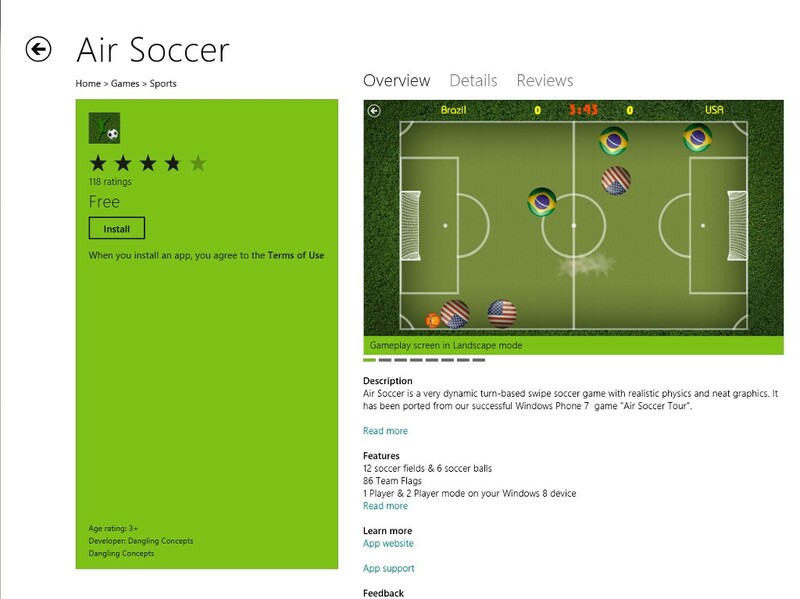 11) is the one that may be the most useful for a lot of users. The first few options are Time (set up time zone, adjust for daylight savings time automatically), App Switching (allow switching between recent apps, who’d want to turn this off and open one app at a time? 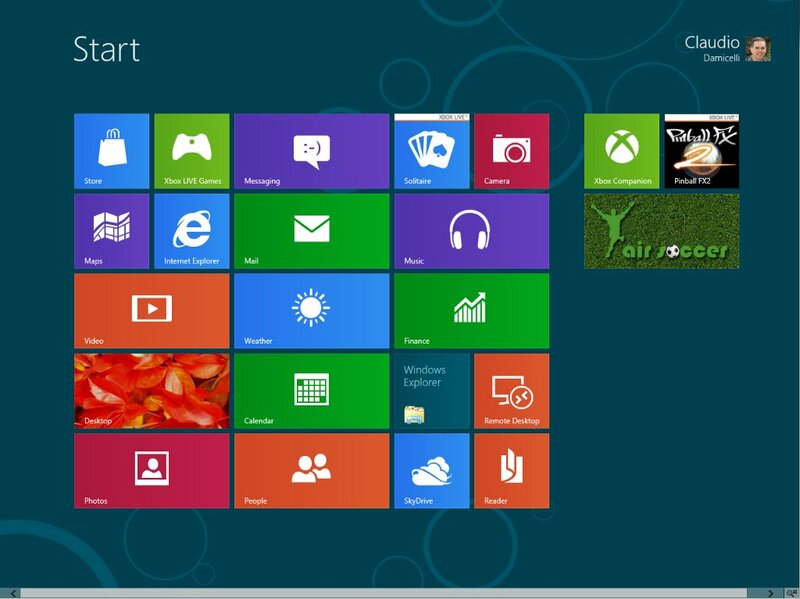 ), Spelling (autocorrect and highlight misspelled words), Language (input methods, keyboard layout, language options). 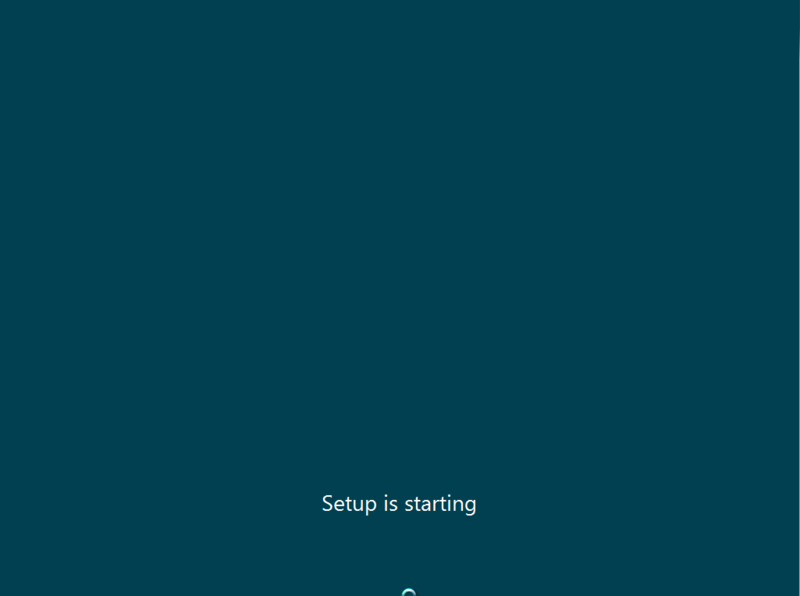 The last three ones allow you to: Refresh your PC without affecting your files (think about System Restore), Reset your PC and start over (erases everything and leaves the PC as it was the day you bought it), and Advanced Startup: boot from USB or DVD, change Windows startup settings (safe mode, etc. 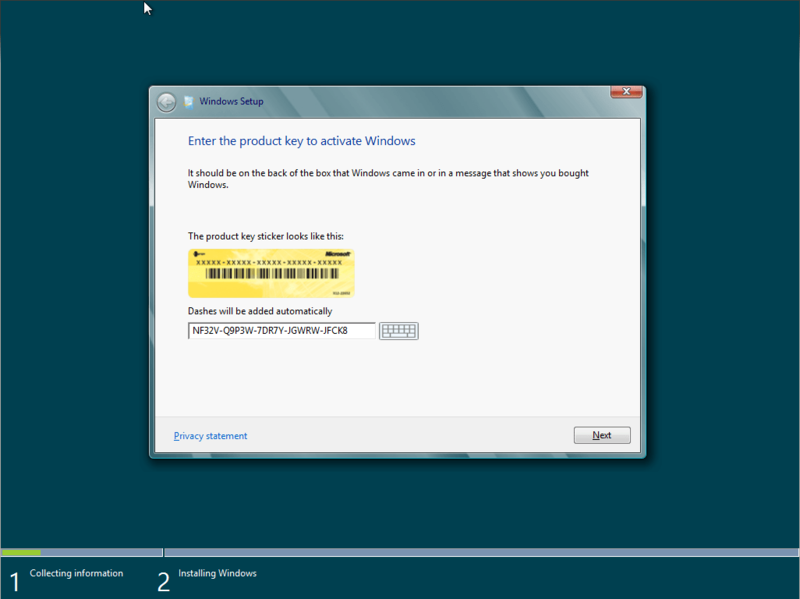 ), or restore Windows from a system image. 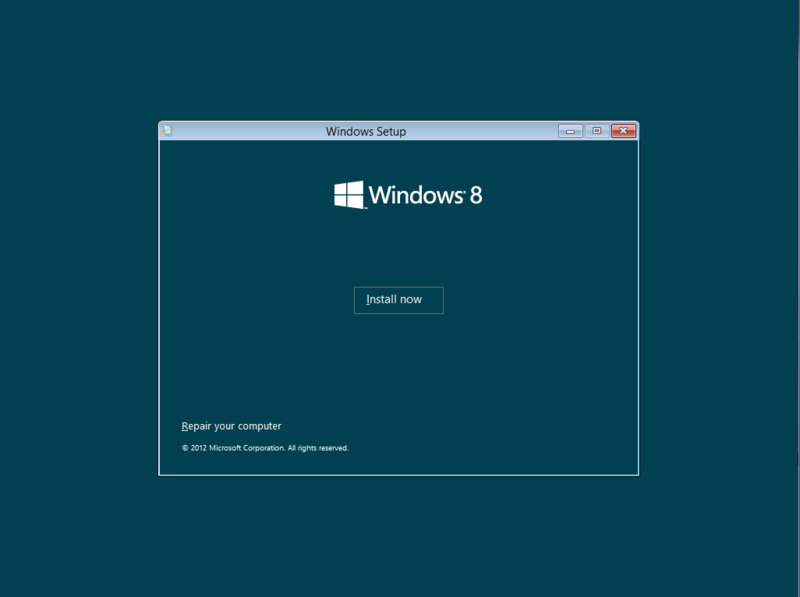 Depending on how well the security model in Windows 8 works against the many viruses/malware that are certain to target it, these last three options sure will come in handy. 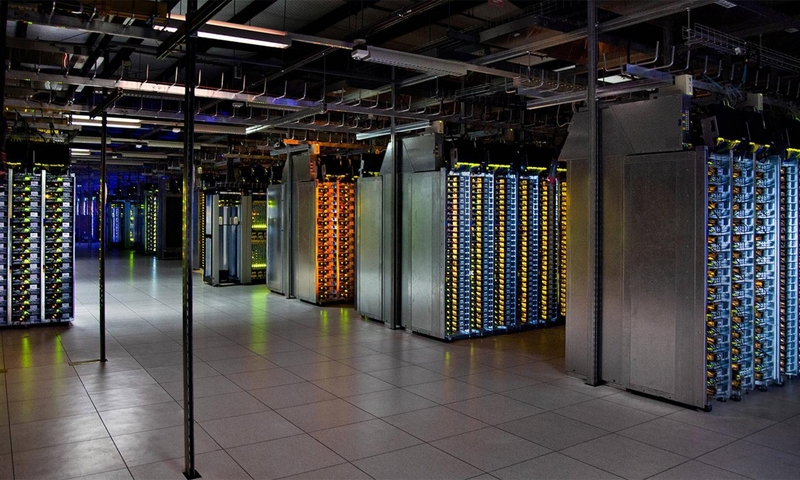 The next option is Privacy (Fig. 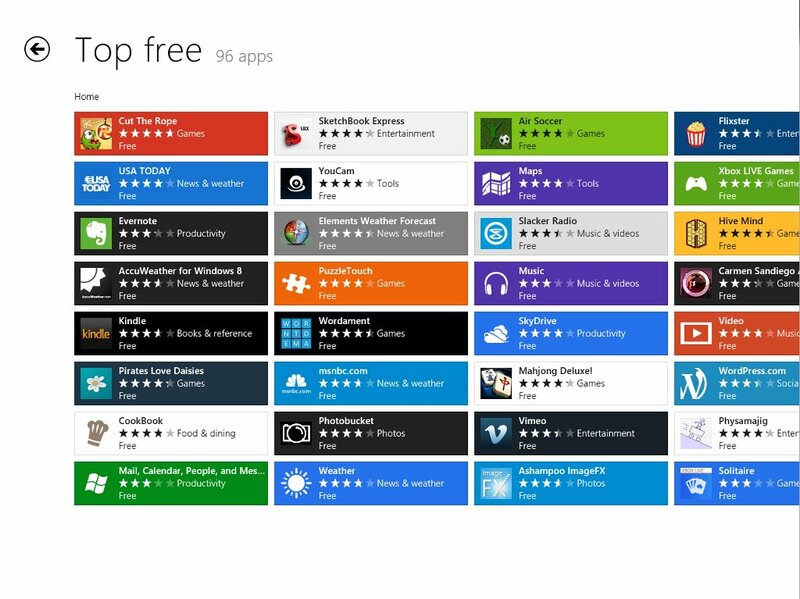 12), which right now only gives us three things we can adjust: whether or not to let applications use our location, let applications use our name and picture, and let apps send URLs they use to the Windows Store for “improvements”. Too little but I can only hope it will improve for the final version. The Ease of Access screen contains options for changing the look of Windows for people who may have certain visual impairments, and that’s where it ends. The options are: high contrast color schemes, make everything on the screen bigger, shortcuts to turn on the narrator feature, and cursor width (Fig. 14). No other help is offered at this time. 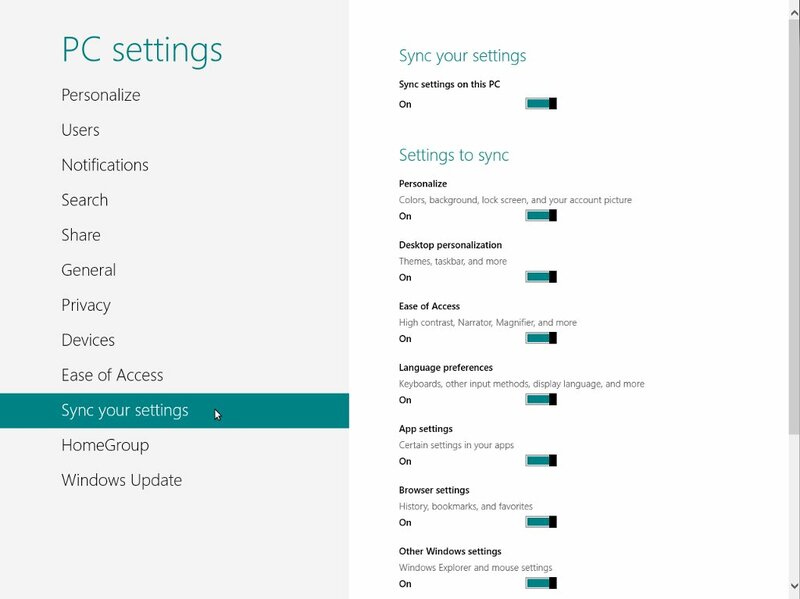 The Sync your settings screen is actually very complete. Here we can pick which settings we want synchronized between computers (desktop, bookmarks, languages, ease of access, certain app settings, and more) provided that we are using a Windows Live account to store the settings (Fig. 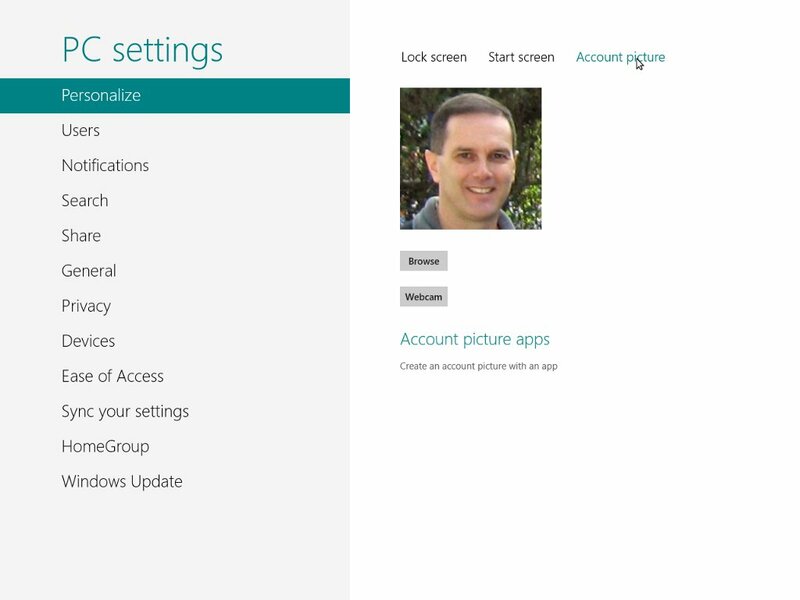 15), If the account is local, this feature is not available. 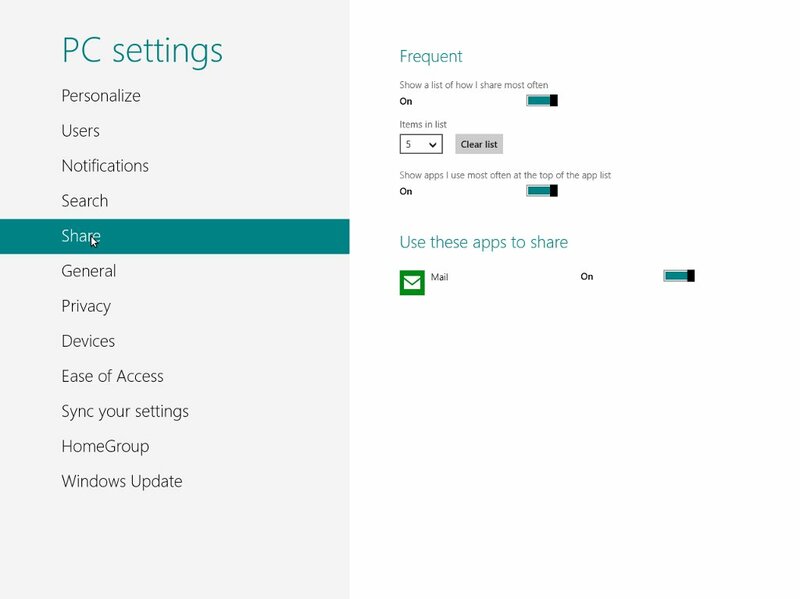 And the last screen I’ll show you is the HomeGroup one. 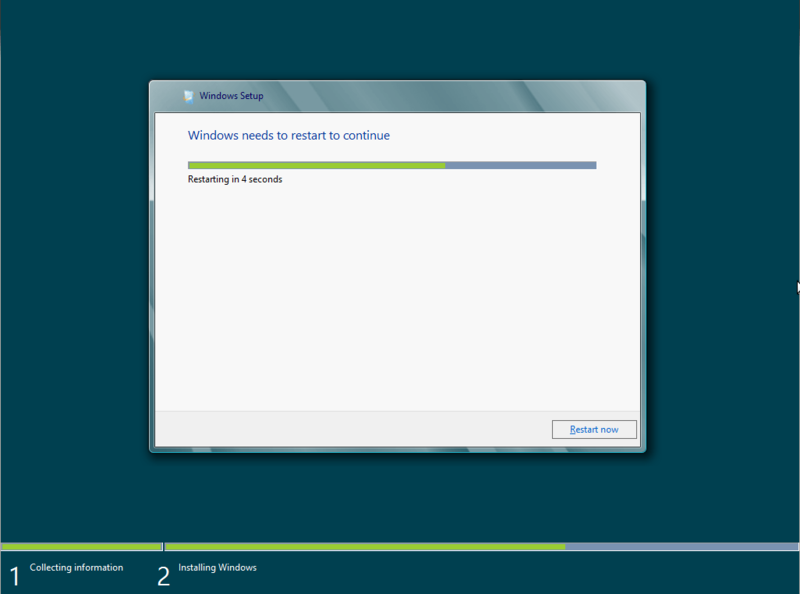 Windows Update is really nothing to look at… 🙂 In HomeGroup (Fig. 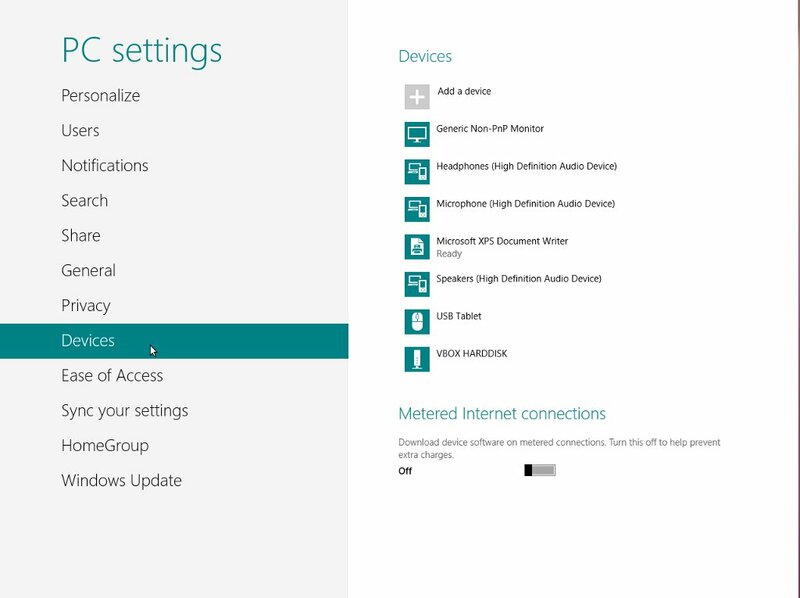 16) is where we can tell Windows if and what we want to share with other devices (such as a TV that supports media server streaming) on the local network. 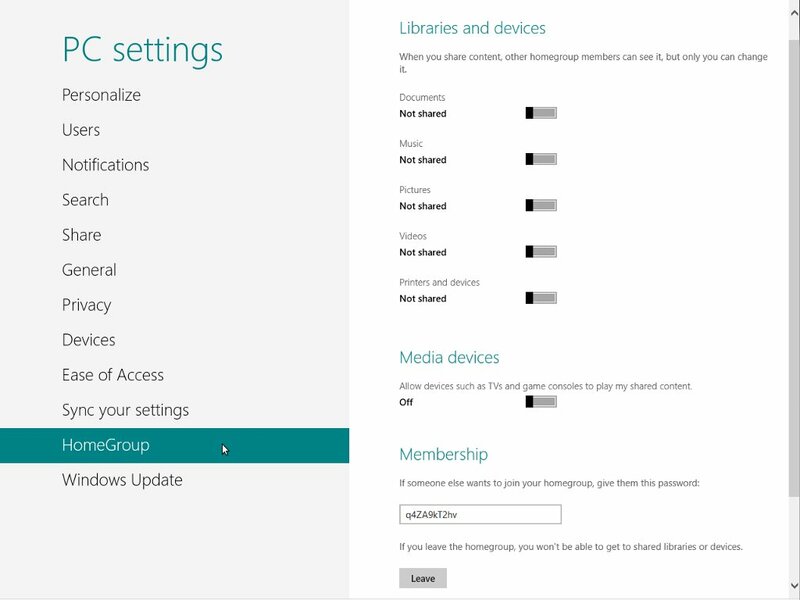 Documents, music, pictures, videos and printers can be shared easily with other HomeGroup members. And this concludes Part IV of this series. I hope the information here helped you understand better what’s coming. In Part V, which will be the last of the series, I’ll go over the Desktop, which I’m sure will bring some comfort to those that don’t like things to change too much too suddenly! Windows 8 Consumer Preview (AKA Beta) is here! 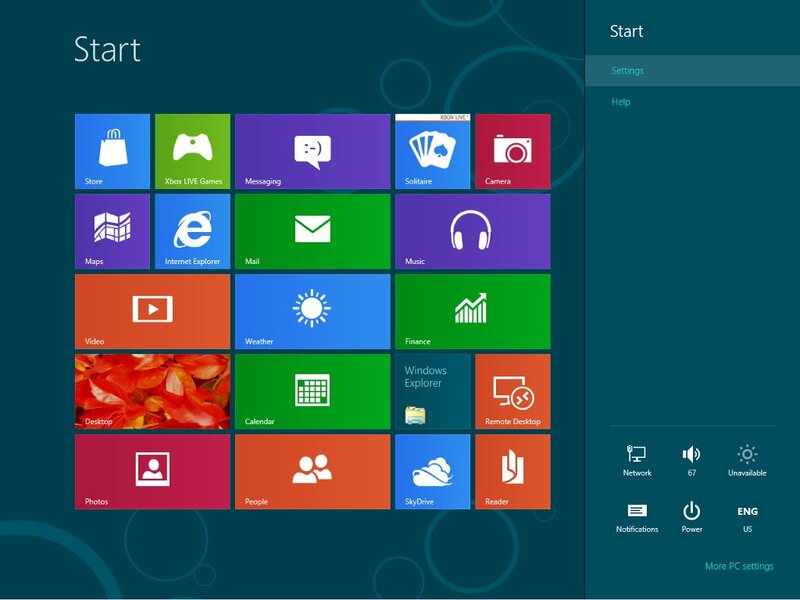 and with a lot of changes from Windows 7, as Microsoft gets ready to enter the tablet market, I thought I’d cover installation and daily use for desktop users to stay ahead of the curve. 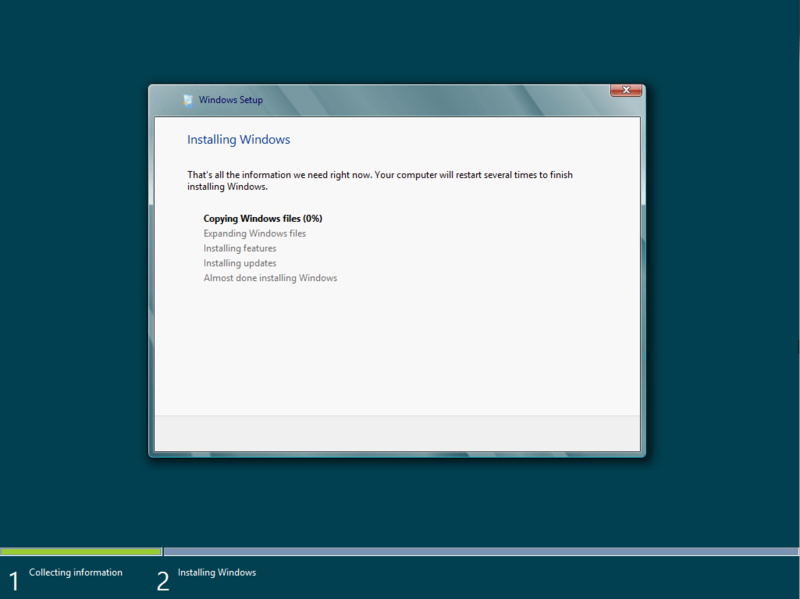 Installation of this beta version was done inside a virtual machine, with a single processor running at 1.8 GHz, 1 GB of RAM and 20 GB of disk space, to get an idea of how well this OS will perform in a constrained environment. 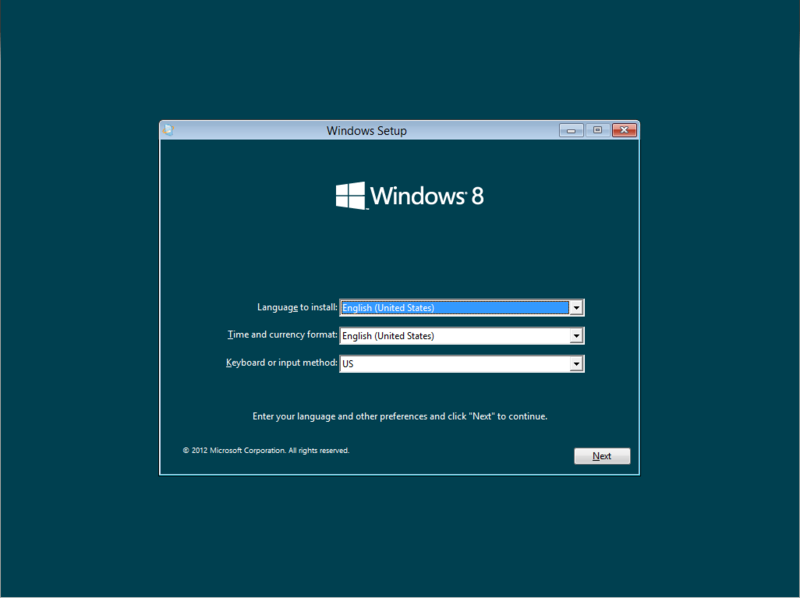 Once I started the virtual machine with the ISO file for the Windows 8 DVD, and after a few moments, the screen shown in Figure 1 came up, asking for language, time and keyboard settings. I accepted the detected defaults and clicked on the Next button. 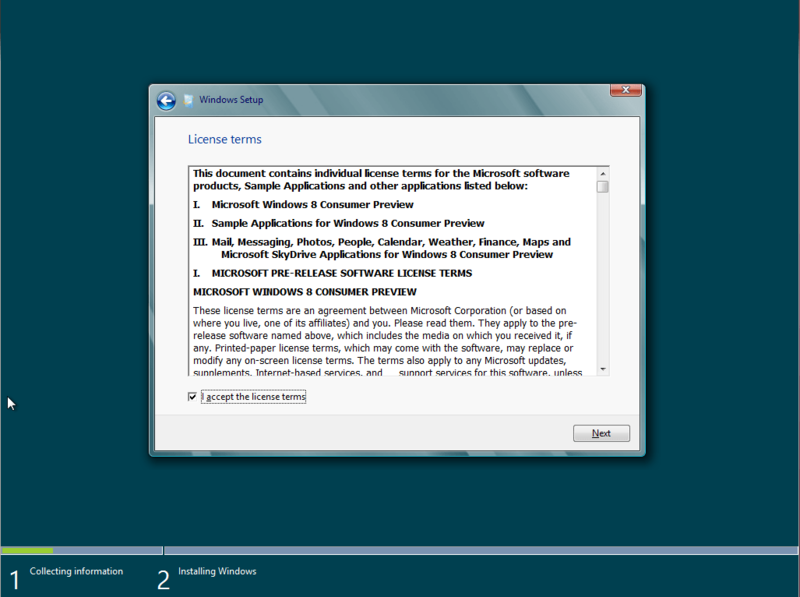 The usual EULA screen appears, so we just click on I accept the license terms and the Next button. 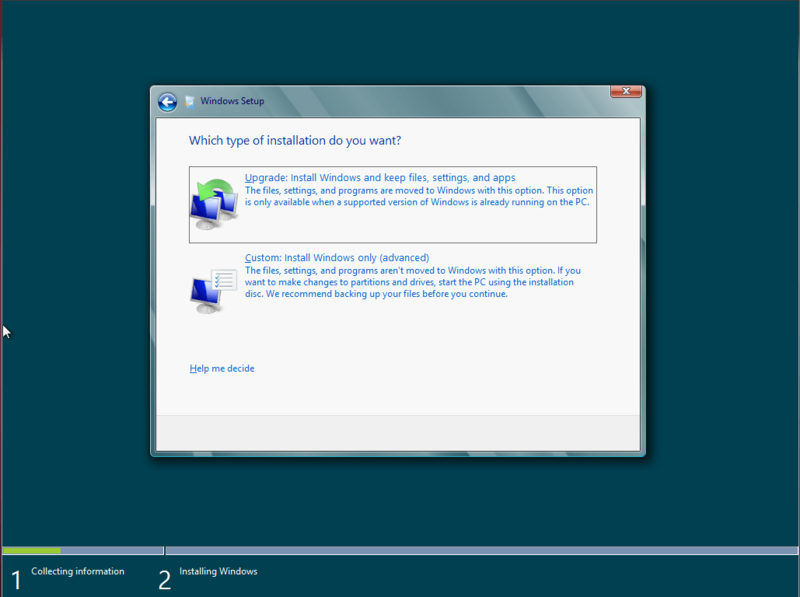 Then the real installation begins, with the option to upgrade or do a Custom install, as shown in Figure 6. Since there was nothing to upgrade from, I chose Custom and proceeded. Selected the hard drive to install to and clicked Next. When it was done and restarted, I couldn’t help but notice that Microsoft had changed the initial startup logo for that of a fish (???) see Fig. 10. 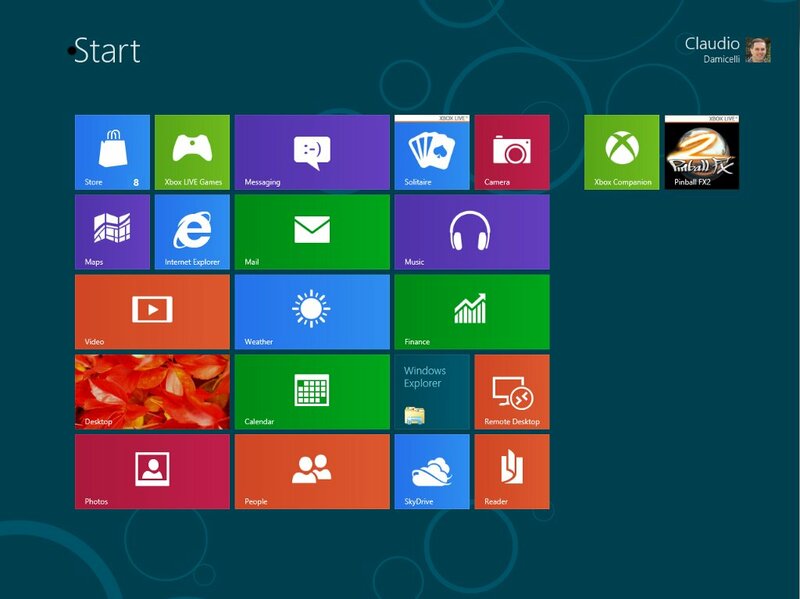 The bubbles form the number 8, but the windows logo is gone. The final version will likely see this replaced. 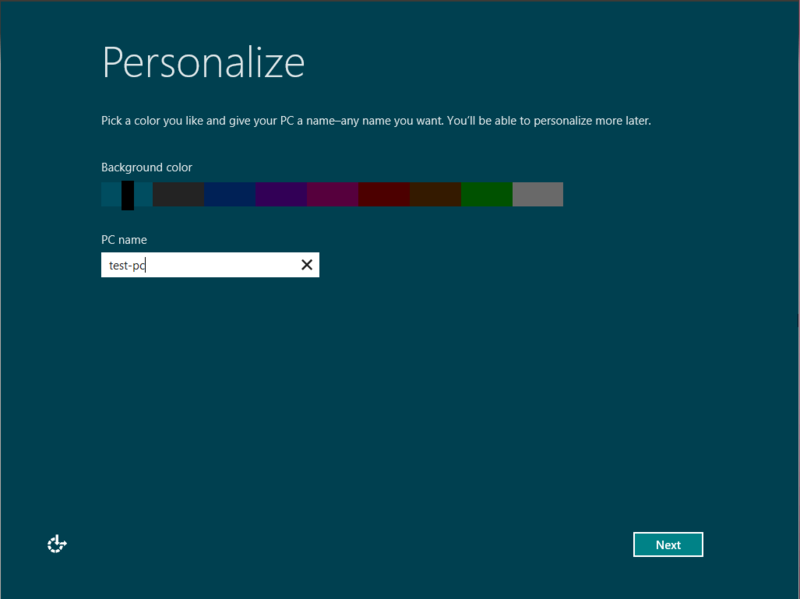 After it was done starting, the Personalize screen came up so we can set the background color and PC name. 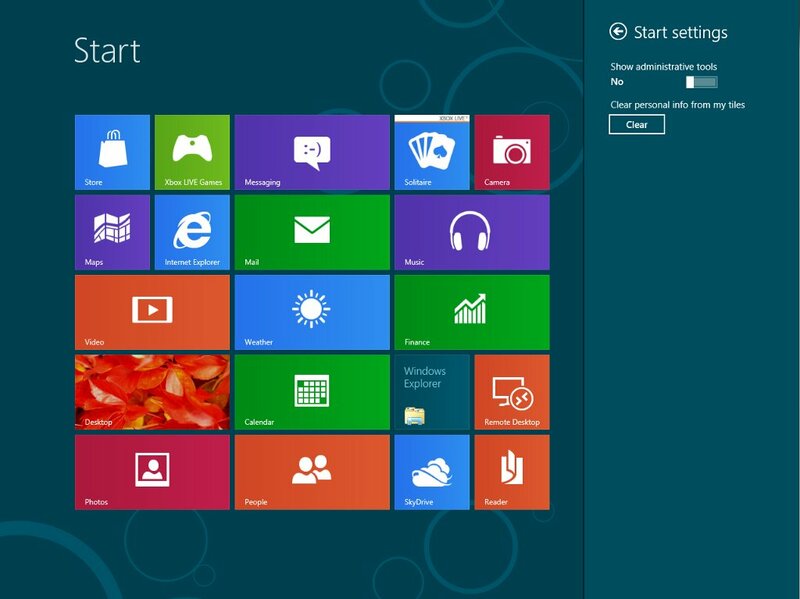 I left the default color on, as none of the others seemed specially applealing, named it test-pc as seen in Fig. 11 and proceeded to the next step. 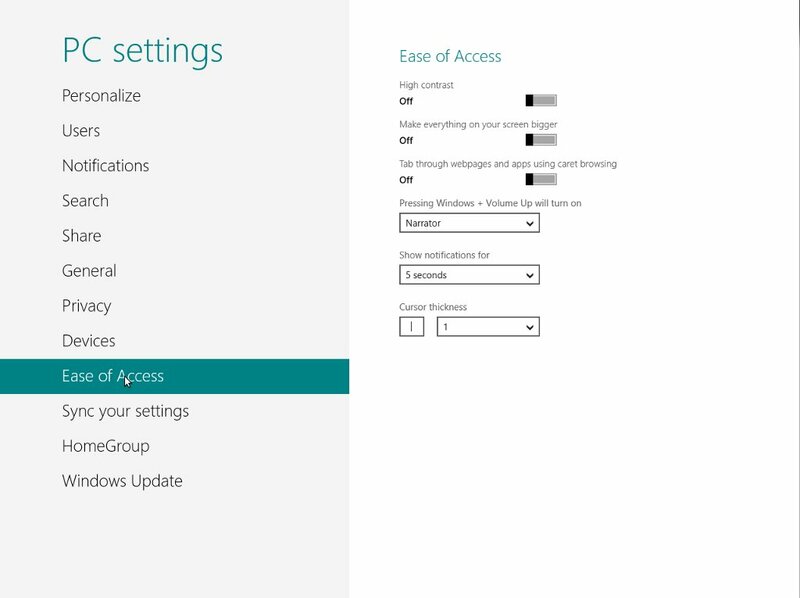 The Settings screen is where we specify if we want automatic updates applied automatically, whether or not to send anonymous info to Microsoft to help make Windows and location services better, enable sharing on the network, and also let applications give you personalized content based on your location, name and account picture, as shown in Fig. 12. 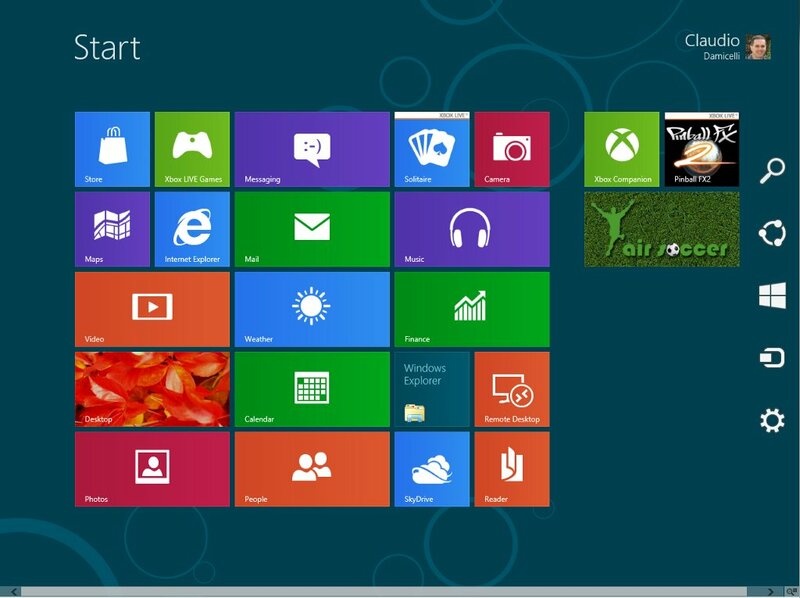 This is one big change from Windows 7, as we’ll see later, apps are a lot more interactive with the desktop and display changing info. 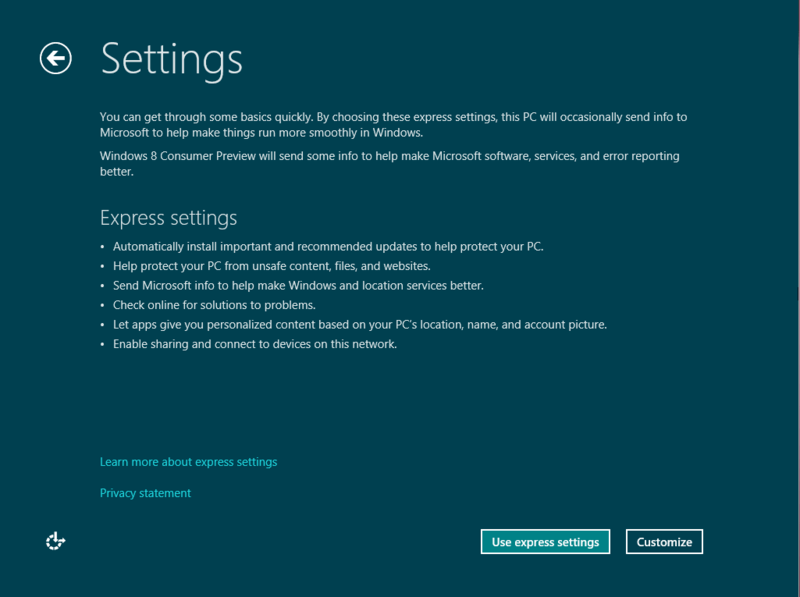 I chose express settings (you can customize as well) and clicked Next. 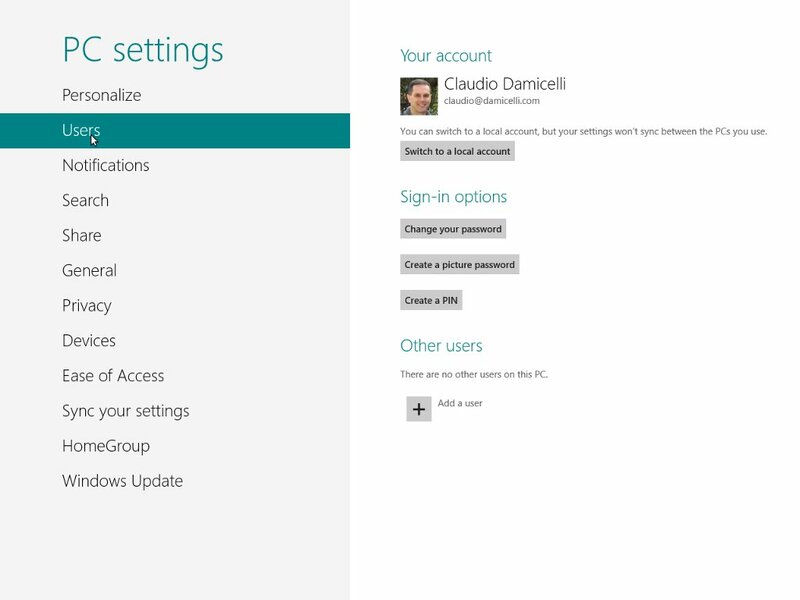 The next big change is that now you also have the option to sign in with your Windows Live (or Hotmail) account, for further integration and personalization, access to the future Windows App store, as well as access to your documents, photos and more from anywhere, by synchronizing your content with some of the Windows Live services such as Skydrive, etc. 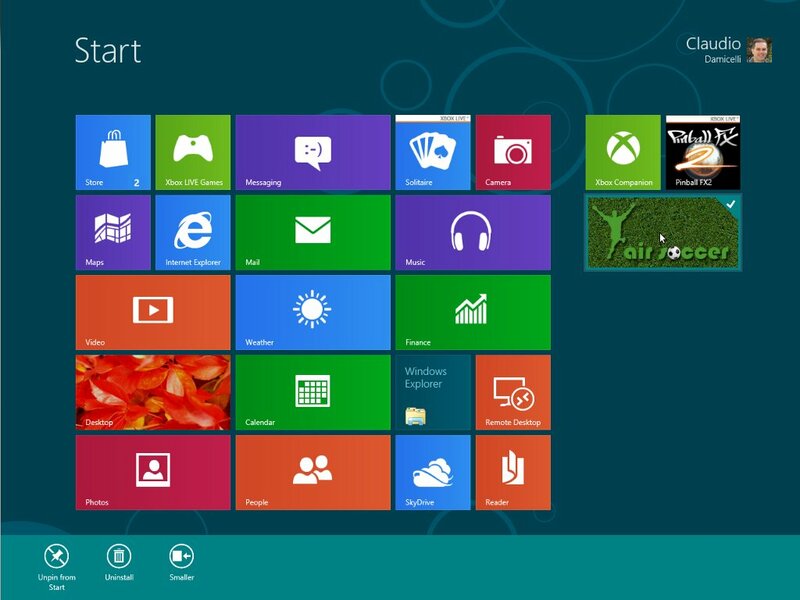 You can also let the PC act as a regular standalone desktop, for example, to connect it to a corporate network, but you loose most of the appeal this new version has. 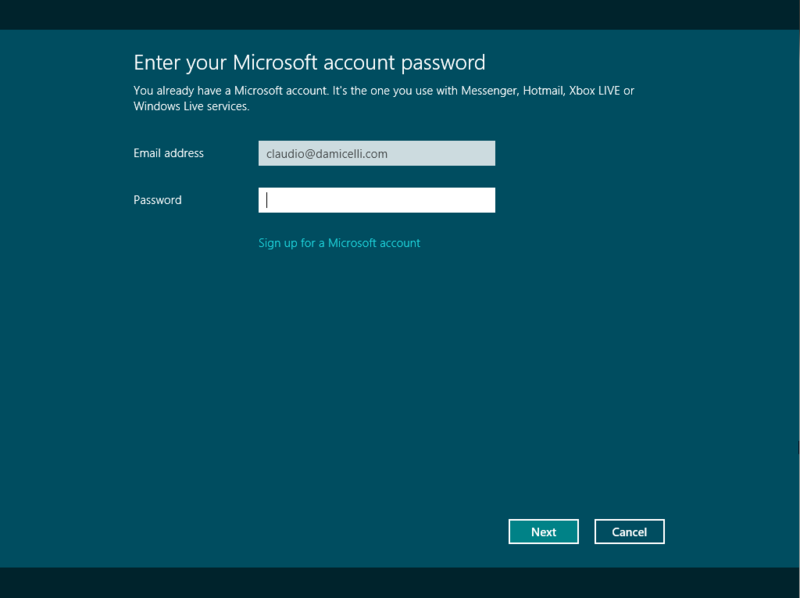 After I entered my Windows Live email address, Microsoft made sure the account existed and then it prompted for the password, as seen in Fig. 14. The next step is entering a mobile phone number, you can get a code sent to your cell if you forget your password so you can reset it and log in again. This is cool, but not mandatory, so I skipped it and clicked Next. 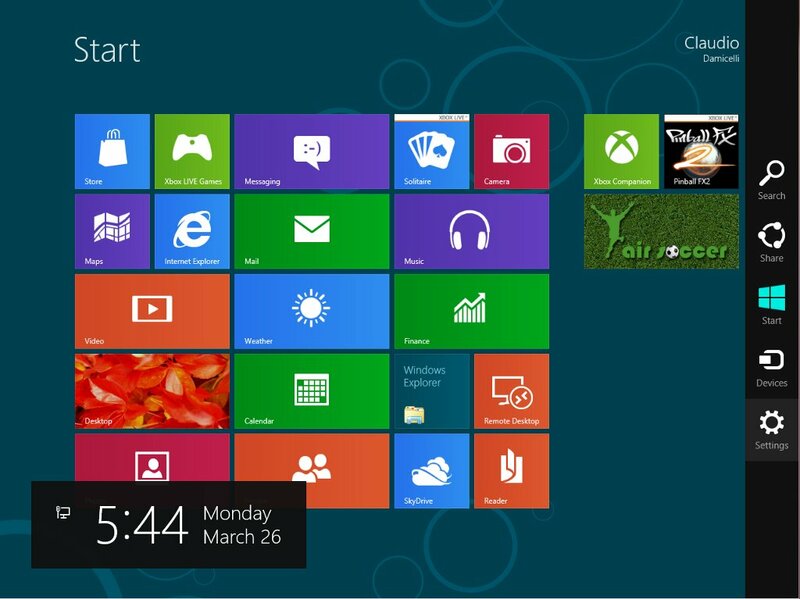 … which after a little while changed to my Windows Live profile picture, and also loaded more of my Live settings in the background while it kept Preparing Windows. Fig. 19 shows the new initial screen, where only the current time and date and a little network connection indicator icon shows up. 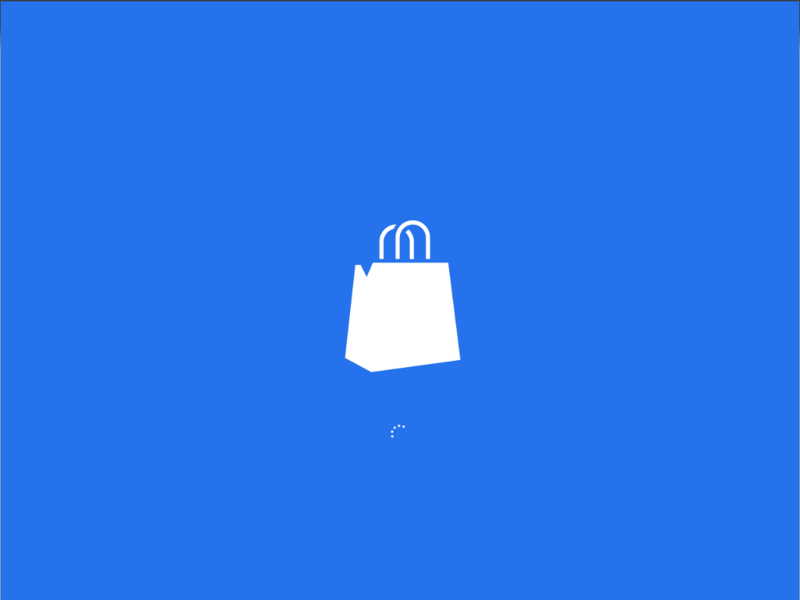 To proceed, you must click on the screen. 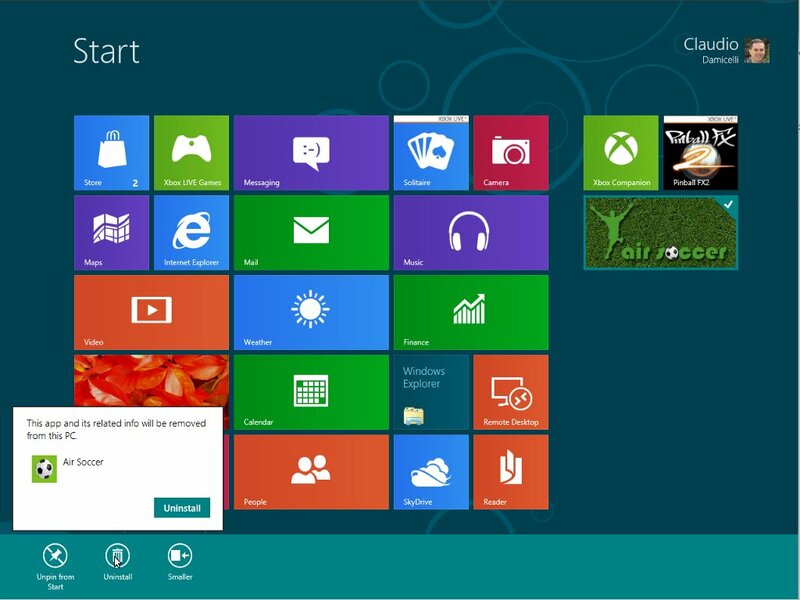 But when it was ready, the new Metro user interface came up (Fig. 21). Now I’m ready to do some actual work! But that will be material for Part II of this series. I hope you’ve enjoyed this one and look forward to your comments. Please register so you can post, see you next time!